Last week we took a look at Tilemaps, and I shared some new articles that I’d written on MDN. This week I’m back to introduce 3D collision detection, an essential technique for almost any kind of 3D game. I’ll also point you to some more new articles about game development on MDN! Hope they inspire you to stretch your skills. 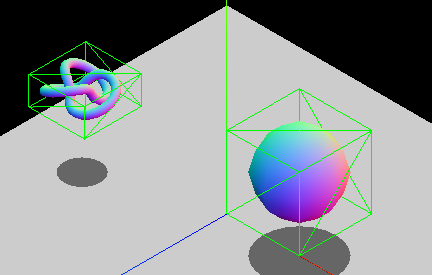 In 3D game development, bounding volumes provide one of the most widely used techniques for determining whether two virtual objects will collide (i.e., intersect with each other) during game play. The technique of bounding volumes consists of wrapping game objects with some virtual volumes, and applying intersection algorithms to describe the movement and interaction of these volumes. You can think of this approach as a shortcut: it is easier and faster than detecting intersections between arbitrary, complex shapes. The new MDN article on 3D collision detection describes how to use generic algorithms to perform 3D collision detection with AABB and spheres. This article should be useful regardless of the game engine or programming language you are using to develop your game. Hope you enjoy the demos and find them useful. If there’s a particular topic in HTML5 game development you’d like to learn more about, please drop a comment here and let us know! We’ll try to get it covered for you. I’ve tried and given up on 3d collisions many times so I can’t wait to try this out when I get a chance! If I could ask for any article it would be a super in depth one about the math of 3d graphics and webgl because yolo.